Fickle Feline: American Idol: Disco Week. Ugh. Disco week. 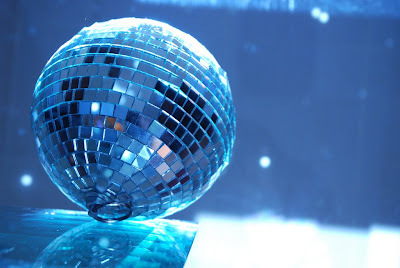 With all of the great songs out there, why oh why, do we need to bring back disco? This can go nowhere good, and I'm ready to be tortured for the next hour, and my cat has headed for the hills. Lil Rounds - I'm Every Woman: I can't tell what is going on with this...she is all over the place. It feels like she can't get on top of the beat, and she isn't singing in tune, just kind of around the pitch. Also, she is trying to riff way too much, and it is just coming off as self-indulgent wankery. Heh - I just noticed the GIANT background singers being flashed up on the screen. Good lawd, this is a train wreck. Kris Allen - She Works Hard For the Money: I understand why he decided to do this song, and I'm thankful he didn't try to do the original arrangement. Given the difficult task of doing something cool with a disco tune and trying to stay true to your own sound, I think he did okay. Danny Gokie - September: This dude is so white it hurts. Yeah, he has a good voice, and he hits the notes, and he is kind of cute, but he is just so vanilla. I bet he would do great on the Christian Pop music circuit, but I'm getting bored with him. He could go, say, this week, and I'd be alright with that. Alison Iraheta - Hot Stuff: Great song choice for Alison. I loved the intro with her sitting on the stairs (and her shoes!). I kind of wanted her to move a bit more though, it felt like she was glued to the stage. I think the slower tempo didn't help matters, because the overall energy seemed lower than I would have liked. But considering she's a rock singer, this was just about the best she could have done in this genre. Adam Lambert - If I Can't Have You: Adam is the only contestant where I actually get excited to see what he is going to do with the arrangement. Instead of singing an upbeat song, he took a risk and sang a ballad, and wow, did he ever sing the pants off this song. His pitch is rock solid, he's in the pocket, and he is an amazing performer. While I still haven't forgiven him for how he sang Ring of Fire, I have to give the guy props, he has "it". Matt Giraud: Stayin' Alive: I actually don't completely hate this. He really is Justin Timberlake's slightly less talented little brother (singing style on down to wardrobe). But for a guy from Kalamazoo, he's pretty good. My heart won't be broken if he goes home this week. Anoop Desai - Dim All the Lights: Another ballad. The first two lines felt disjointed. The transition into the upbeat section was awkward. Even worse, he sang over the upbeat section as if he was still singing a ballad. He needed to have more punch in his voice and he needed to sing more rhythmically. Last note was embarrassing. I haven't watched the show tonight yet, so I should slap myself for even reading this..but...I did. We have it recorded from the earlier feed, but alas playoff Hockey is on. I have said all along if Gokey played up the Christian Rock thing, he could nail it. If not the show, just in general. He is into that vibe already IRL and I bet if he did win, he would end up going that way eventually. I almost expect him to sing "I can only Imagine" or one of those Christian heartwrenching ballads at some point when they can pick their own songs. I bet I would like him a lot better if he did sing some Christian Rock. At least then he would be feeling it. Kat – Love the American Idol reviews! Not until now have I felt strongly enough about a contestant to weigh in – but, Adam Lambert BLOWS MY MIND!! “Ring of Fire” - I had to listen two or three times to "get it", but man-oh-man... who in the history of American Idol has taken a classic Johnny Cash song and turned it into a semblance of an Indian Ballad (I have no other way to describe it!)? His rendition of “If I Can't Have You” was so unique I actually had to go back and listen to the Saturday Night Fever soundtrack to figure out what the song originally sounded like. So different! For me, the epitome of all his performances was “Mad World”! That is one of my absolute all time favorite songs. I have heard it performed by many artists. Now, all I crave to hear is Adam's version. His rendition actually makes the original sound boring!! Last night’s performance, I have to admit I am not raving about, but as long as it keeps him in the competition I am fine. I am a faithful fan of Adam Lambert. I am uncharacteristically cheering for him and voting weekly. I am going to go ballistic if he gets voted off. Fortunately, his home town is about 10 miles from me. I will seek out any of his live performances I can. I just hope his original music after the show is as diverse and spectacular as I find it to be now.